Diwali, also known as Deepavali or Devali, is a holiday observed by Hindus, Sikhs, and Jains. 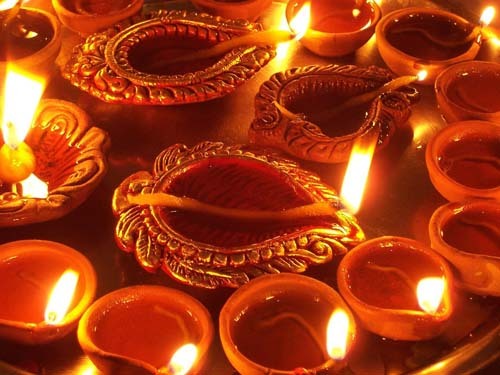 Known as the “festival of lights,” Diwali is celebrated between mid-October and mid-November every year, as it is based on the luni-solar Hindu calendar. It is an official holiday in India, Nepal, Sri Lanka, Myanmar, Mauritius, Guyana, Trinidad & Tobago, Suriname, Malaysia, Singapore, and Fiji, but it is celebrated all over the world. While the story behind Diwali varies from region to region, as do the celebrations (which may include the lighting of small clay lamps filled with oil to signify the triumph of good over evil, but can also involve fireworks, sharing sweets, and many other traditions and forms of worship) the fundamental meaning behind the holiday remains the same – to celebrate the victory of good over evil, to rejoice in the inner light (known as Atman), and to celebrate the reality in all things (Brahman). For our friends who celebrate Diwali, we wish you a very happy holiday! La Réserve Paris sits in the heart of the city at Place de Trocadéro, letting visitors live like a Parisian – and a chic one at that. The stylishly furnished apartments provide all guests the comforts of home, with a view only available in Paris – the Eiffel Tower cuts the sky and behind it is a backdrop of the green Champs de Mars, often speckled with picnickers. 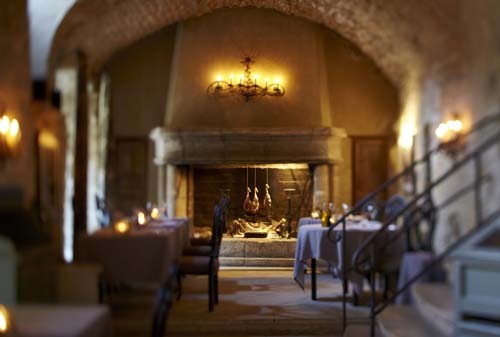 RATES: start at 2,590 euros per night (about $3,564) for a minimum stay of 3 nights. The penthouse suites at the new Pavillon des Lettres are a dream for bibliophiles. Each of the hotel’s 26 rooms is dedicated to a letter of the alphabet and a corresponding author. The two penthouse suites, Yeats and Zola, have beautiful views of the Eiffel Tower, the Grand Palais, and Paris rooftops. Gaze out at the lights on the Eiffel Tower while reading Zola’s Nana from the room’s iPad – stocked with novels in several languages – or scan Yeats’ The Wind Among the Reeds that is printed on the wall. RATES: start at 250 euros per night (about $347). 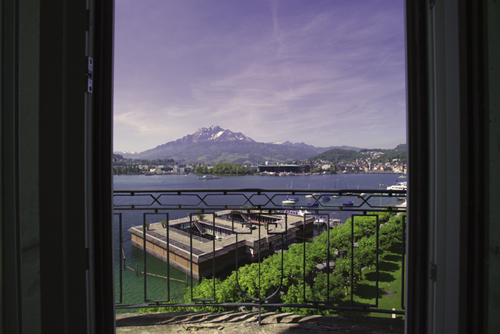 Founded in 1906, the Palace Luzern epitomizes the height of Belle Époque elegance. While embracing the style of a true palace hotel, numerous renovations have brought the hotel into the 21st century with a fresh, modern aesthetic. Overlooking Lake Lucerne, it offers a unique combination of Alpine scenery and proximity to the center of Lucerne, which is host to renowned music festivals, world-class museums, and many charming boutiques. Sailing, golf, and skiing are all available nearby. RATES: start at $308 for a City View Double Room. Uma Paro is in the extraordinary Himalayan kingdom of Bhutan, sitting atop a tree-lined hill on 38 acres overlooking the town of Paro in the valley below. 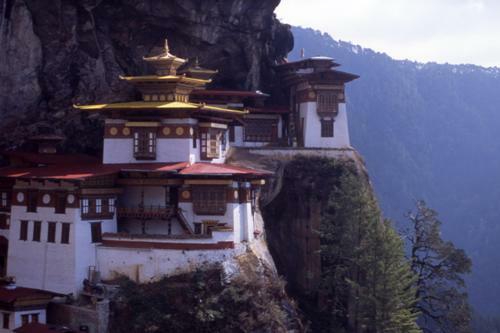 Situated on the country’s western border, the Paro Valley is one of the main cultural centers of Bhutan. Simply relax and gaze out at the unbelievable view, or join one of Uma Paro’s activities such as hiking or biking to the nearby monasteries or exploring the country through the lens of a camera. 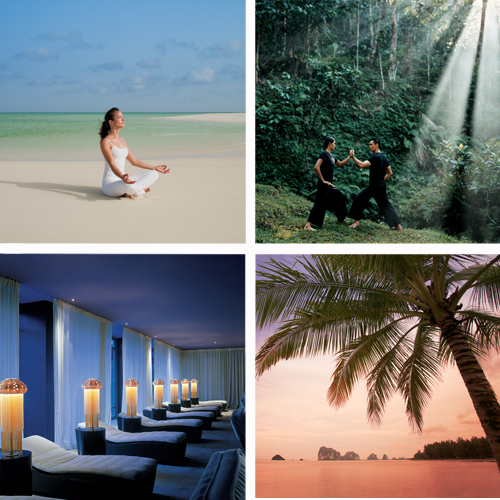 RATES: start at $ 330 through December 31, 2011. Located in one of the world’s tallest buildings, a bathing experience at the Park Hyatt Shanghai is far from ordinary. Even with the heated floors in the bathroom, you’ll shiver at the thrill as you glance down at the breathtaking city from a window-side deep soaking tub. For the faint of heart, there is always the oversized monsoon rain shower, not a bad trade. RATES: start at $391 for a Park King room. Park Hyatt Beijing illuminates the city skyline as a new landmark. Directly opposite the China World Trade Center and the striking new CCTV Tower, the hotel occupies the uppermost floors in the main tower of the Beijing Yintai Center — the tallest development on prestigious Chang’an Avenue in the heart of the capital’s Central Business District. The interiors of Park Hyatt Beijing have been inspired by classical Suzhou architecture and water gardens, and the hotel incorporates these Oriental aesthetics into a sleek, contemporary design. RATES: start at $288 for a Park King Room. The iconic Park Hyatt Sydney will reopen in late 2011 after a seven month makeover and complete redesign. Located in the Rocks district of Sydney’s city center, the hotel has been reimagined by Melbourne-based design firm BARStudio. All rooms are being completely redesigned to enhance the guest experience and highlight the hotel’s harborfront location. Views of Sydney Harbor and the Opera House take on new meaning with a series of floor-to-ceiling windows throughout almost all areas of the property, including in The Dining Room, the hotel’s premier restaurant, completing the large-scale redesign. RATES: opening rates starting at $871 for a City/Harbour King Room. At 8,000 feet in elevation surrounded by soaring peaks of the snowcapped Indian Himalayas, Shakti 360˚ Leti has some of the best views in India. Each of the four en-suite cabins and the central lodge of this high elevation hotel have floor to ceiling windows, which means the views of the peaks and, in spring, the rhododendrons in full bloom, never disappear. Described as “a contender for the world’s most remote luxury resort,” Shakti 360˚ Leti can be visited as an extension from the Shakti Kumaon Village Experience, or as its own destination. Accessible by car or charter flight from Delhi, the fun getting there really begins with the hour-long trek into the hills. But once you’re there, you won’t want to leave… Forget your Blackberry, power down your iPhone, disconnect, and just breathe in the fresh mountain air while listening to the silence that surrounds you. RATES: 3-night, 4-day package starts at $1,916 per person, double occupancy. Rates include accommodations; all meals and beverages; activities; English speaking guide and porters; a car at your disposal, and all taxes and return transfers between Shakti Kumaon Village Experience and Shakti 360˚ Leti. Flights are not included. Minimum of a 3-night stay required. Liwa Desert, Abu Dhabi, U.A.E. In the heart of the Liwa Desert just ninety minutes from Abu Dhabi International Airport is Qasr Al Sarab Desert Resort by Anantara, the newly built 206-room resort surrounded entirely by legendary red sand dunes. The Liwa is part of the Rub’-al-Khali, or Empty Quarter, the world’s largest uninterrupted desert. Built right into the sand, the resort is modeled after an ancient Emirati fort that rises out of the desert and evokes the rich culture of the Bedouins, the indigenous tribes people who roamed the desert for centuries. Get away not only from your everyday life, but this century altogether! The rooms and suites spill off the main lodge like little villages, and all have stunning views of the ocher dunes of the Liwa. Hundreds of museum-caliber artifacts are on display throughout the hotel to provide more feasts for the eye, including the world’s largest collection of camel saddlebags used in desert crossings by the Bedouins throughout Arabia. Offering all the comforts of modern luxury in a superbly unique setting, Qasr Al Sarab is more than just a luxury hotel; it is a window into the history and culture of a nation. RATES: start at 2,100 AED from October 1-November 30, 2011, and at 1,900 AED from December 1, 2011-January 31, 2012. In honor of World Tourism Day, the Wall Street Journal has recently named their Top 10 Tourist Destinations in India. Many of the top picks came as no surprise, like second-ranked Uttar Pradesh, home of the Taj Mahal. Tamil Nadu, which came in at number three, is home to the Meenakshi temple, a key tourist and pilgrimage destination. Meenakshi is an Avatar to the Hindu goddess Parvati, one of the few female deities to have her very own temple. One of our personal favorites, Uttarakhand, took a well-deserved seventh place. Known by locals as “abode of the gods,” Uttarakhand is filled with holy Hindu cities and temples, many of which are considered the most spiritual places for pilgrimage and worship. Divided into two distinct regions, Garwhal and Kumaon, Uttarakhand’s Garwhal is the better known of the two, made famous for the many yoga retreats offered throughout the year that account for a large portion of tourism to the region. Garwhal is also especially famous for the pilgrimage city of Rishikesh, where several ancient temples line the sacred Ganges River that flows through the city. 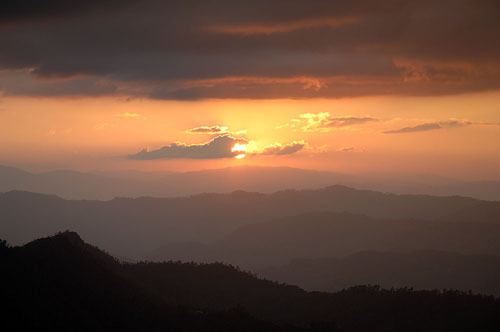 The Kumaon region, Garwhal’s lesser-known neighbor, offers spectacular views of India’s natural landscape, like the twin peaks of Nanda Devi, India’s second tallest mountain. It is also the perfect place to spot some of the many rare animals that populate the area, such as the snow leopard. Off the tourist radar, Kumaon is the perfect destination for culture-rich Hindu experiences in the midst of some of the most stunning mountain scenery in the world. Shakti offers travelers a chance to view this spectacular destination and see the local villages, ancient temples, and breathtaking vistas in person on daily private, guided walks, suitable for all ages and fitness levels with its Kumaon village experience, in season October 1 until April 30, 2012. Dying to intermingle with top film makers, talented movie stars, and the glamorous set? Hit the red carpet of the 2011 Abu Dhabi Film Festival! Since its debut in 2007, the eleven-day event has showcased the Arab world’s distinctive film culture as well as many international films. Festival goers will enjoy everything from romantic comedies to darker documentaries exposing the real societal issues affecting the Arab world. As a supplement to the film screenings, the festival offers master classes and workshops with top industry professionals like Todd Solondz, May Odeh, and Abderrahmane Sissako. Québec City was recently highlighted in The New York Times as an enchanting city well worth a weekend visit, and Crystal Cruises couldn’t agree more. Crystal Symphony is scheduled to visit Québec City 5 times during 2012’s New England/Canada season, including an overnight in the Francophone capital of the Canadian province of Québec. While Québec City boasts an incredibly rich history, the local innovation is similarly striking, and the city oozes a chic and modern scene that is reflected by the lively, friendly locals. With festivals galore, a burgeoning art scene, and a plethora of fashionable restaurants, bars, and boutiques, Québec City is contemporary energetic. 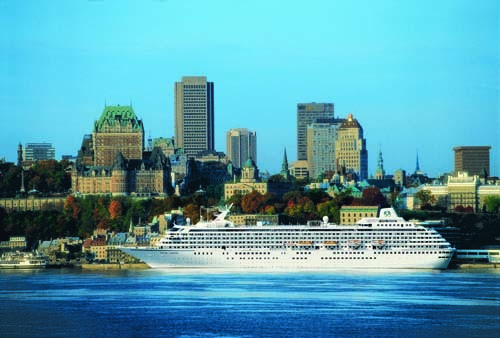 Take a look at 2012 Crystal Cruises all-inclusive voyages that stop in Québec City. Act fast and take advantage of these best available fares before they expire on October 31! Fares: 2-for-1 fares begin at $4,285 per person, inclusive of air. Fares do not include port, security and handling charges of $535. Fares: 2-for-1 fares begin at $3,290 per person, inclusive of air. Fares do not include port, security and handling charges of $490. Come celebrate Turkey Day in the same state as the Pilgrims (the Grey Lady isn’t so far from Plymouth Rock!). The island is full of charm in the fall; the summer crowds have dispersed, prices have dropped, and the middle moors are awash with vivid crimsons and purples. There’s no better setting for a tryptophan-induced food coma and a belly full of pie! With Nantucket Island Resorts’ Hot Dates, Cool Rates promotion, rates at White Elephant for Thanksgiving weekend (November 23-27) start at just $195 and rates at Jared Coffin House start at $125. Both come with a $25 dinner credit on $100 spent or $50 dinner credit on $150 spent at Brant Point Grill as well as two $25 spa treatment credits at the White Elephant Spa. White Elephant’s Brant Point Grill hosts a special Thanksgiving buffet with all of the comfort foods you’d expect at your grandmother’s house, without all of the cooking and dishes. 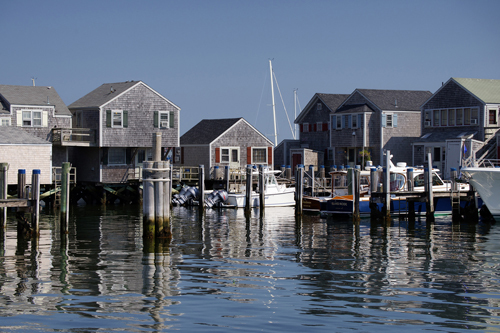 Nantucket’s own Cisco Brewers, known for its Whale’s Tale Pale Ale and other beers as well as its wine and distilled liquors, is a great place to come in from the fall chill. Taste a flight of beer, wine, or liquor and catch a brewery tour every day at 4pm. Take part in a Nantucket tradition with the 10th Annual Cold Turkey Plunge! Every Thanksgiving morning, hundreds of brave souls gather on Children’s Beach and jump into the cold Nantucket Harbor. Prizes are awarded for best costumes, so be creative! Preheat oven to 400°F. Line a baking pan with parchment paper. Sift together flour, baking powder, and sugar. Add butter to dry ingredients, mixing on low speed with paddle attachment. In another bowl, combine the eggs, yolks, and cream, then add the egg mixture to the sifted ingredients and butter all at once, mix just to incorporate, then add zest, cranberry, chocolate, and thyme. Pat down dough onto the baking pan about 1” thick. Allow to rest in refrigerator for about 1.25 hours. Cut the dough into 4”rounds or any desired shape, brush with eggwash (one beaten egg, separate from the recipe above, plus 1 T cold water) and allow to sit for 5 minutes then repeat. Bake at until golden brown. About 15-18 minutes in a convection oven. Cool to room temp and Enjoy! Big news from Bhutan – it’s another royal wedding! Today, the nation’s ultra-popular “Dragon King” married Jetsun Pema, a 21-year-old student and the daughter of an airline pilot. The marriage, first announced in May, was televised live across the country, resulting in widespread celebration. The colorful ceremony took place in a sacred monastery surrounded by the elated people of Bhutan. Find out more here!